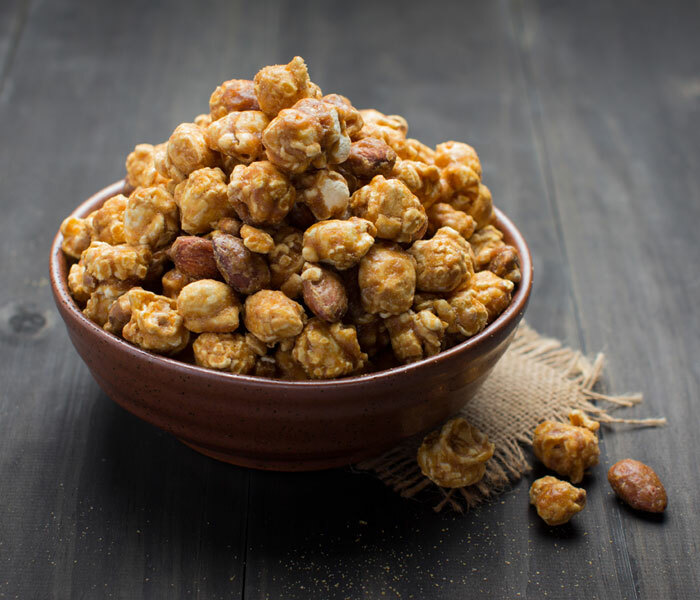 A grown up spin on popcorn, this is a perfect gift for coffee lovers. 1. Pre-heat your oven to 150˚C / 300˚F / gas mark 2. 2. 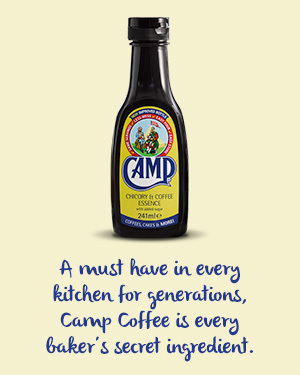 In a saucepan bring the Camp Coffee, sugar, butter and golden syrup to a boil. Simmer for 5 minutes over a medium heat. 3. Remove the pan from the heat. Add the popcorn and peanuts to the syrup in the saucepan and stir until combined. 4. Transfer the mixture to an oven-proof dish and bake for 10 minutes. Give the mixture a stir and bake for another 5 minutes or until caramelised.